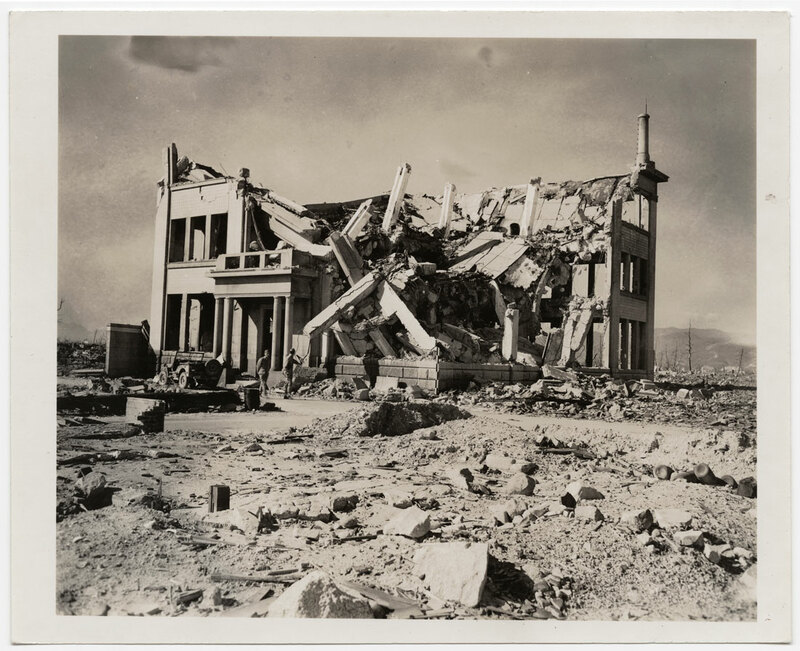 The “United States Strategic Bombing Survey, Physical Damage Division”. Don’t you just love the irony in this title? 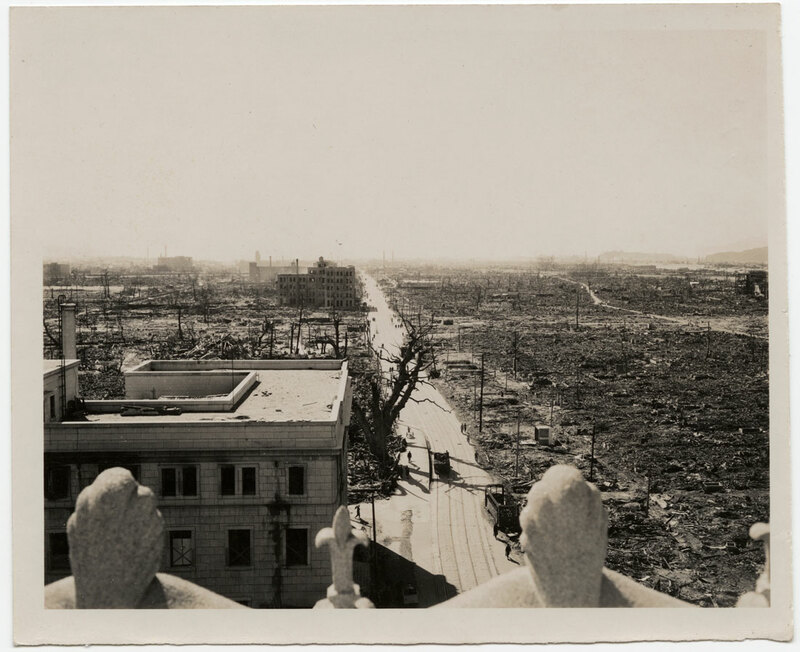 The aim of the military group who took these photographs as part of a survey on “strategic bombing” of Hiroshima was to document the physical damage that took place. 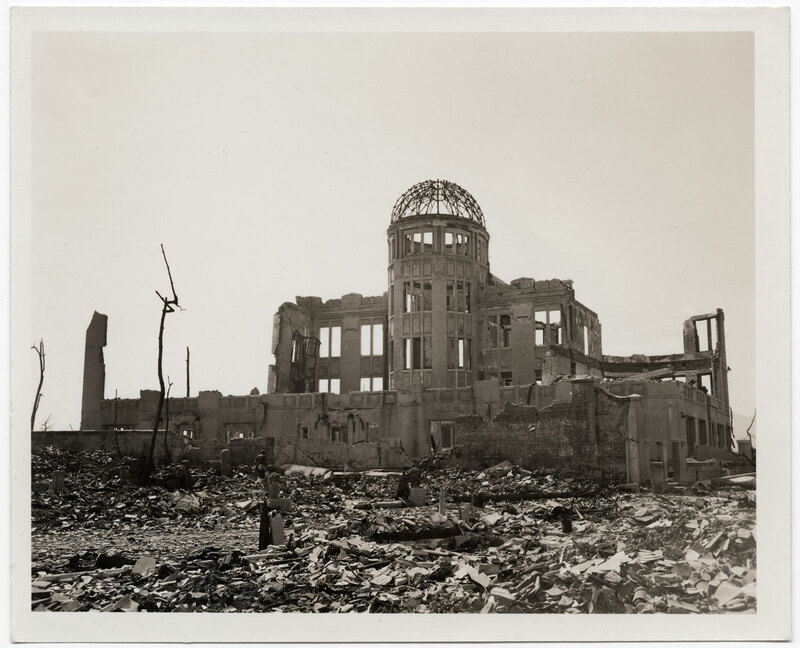 As if an atomic bomb is anything other than destructive! As if an atomic bomb is anything other than catastrophic! As if an atomic bomb is anything less than death itself! In short, the military is power; the military subjugates humans; and the military destroys at will. 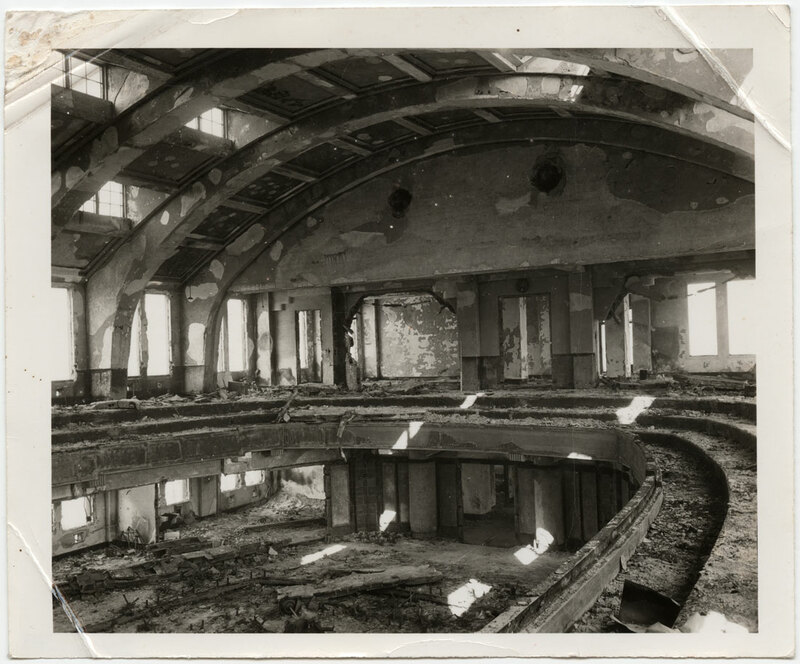 The strange beauty of the Physical Damage Division photographs is that they simply document what remains. 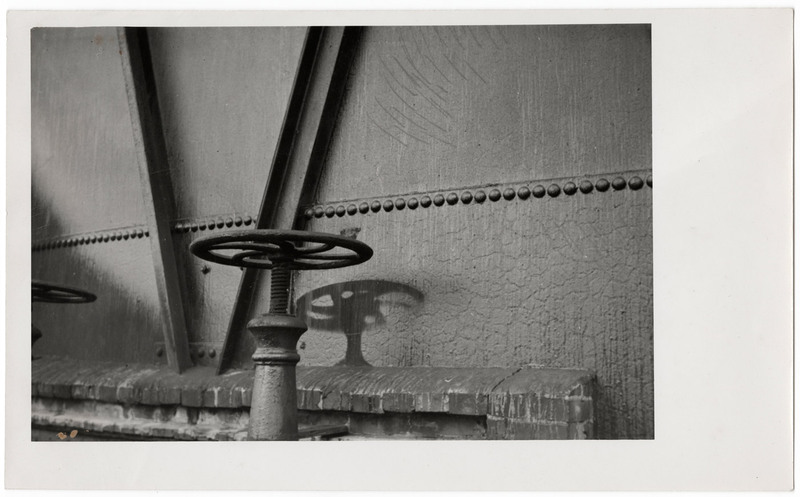 Like the “shadow” of a hand valve wheel on the painted wall of a gas storage tank, Ground Zero is burnt onto the ground glass of the camera. Like the “shadow” these events are eternally seared into the collective memory never, ever, to be forgotten. 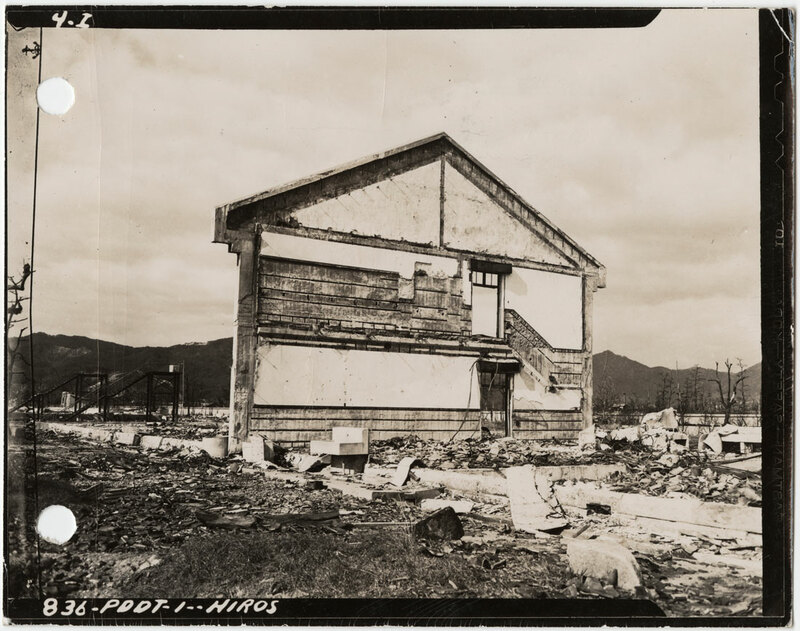 “Once-classified images of atomic destruction at Hiroshima will be displayed in a new exhibition Hiroshima: Ground Zero 1945 at the International Center of Photography (1133 Avenue of the Americas at 43rd Street) from May 20 to August 28, 2011. 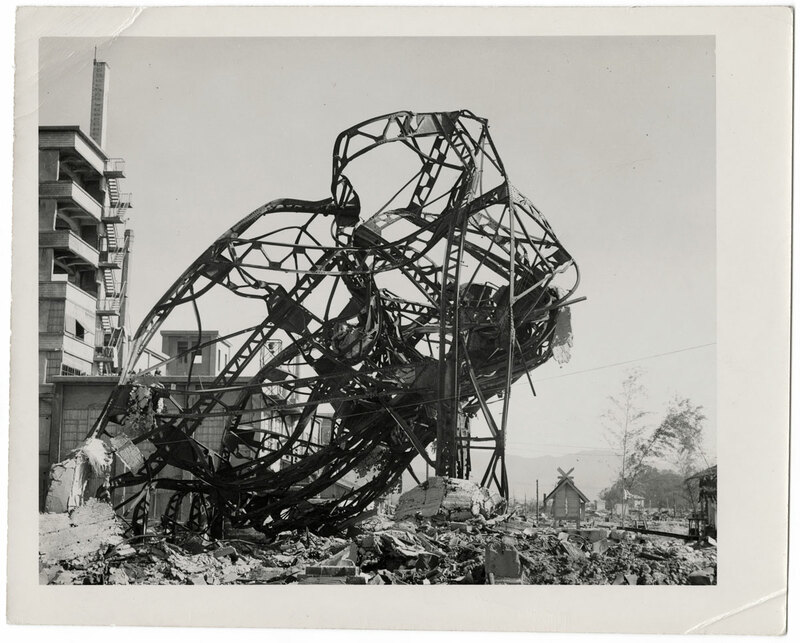 Drawn from ICP’s permanent collection, the Hiroshima archive includes more than 700 images of absence and annihilation, which formed the basis for civil defense architecture in the United States. 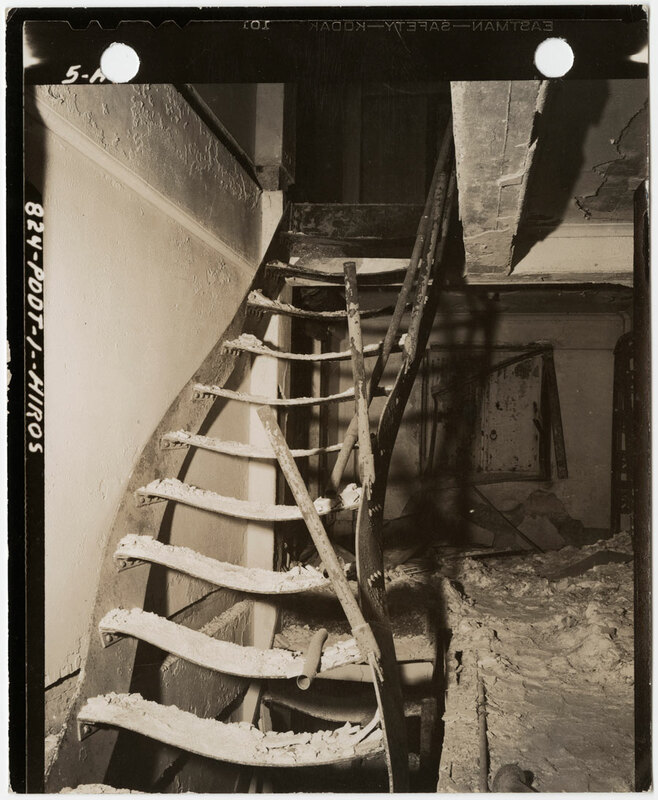 These images had been mislaid for over forty years before being acquired by ICP in 2006. 1. Foucault, Michel. “Technologies of the Self,” quoted in Martin, Luther and Gutman, Huck and Hutton, Patrick (eds.,). 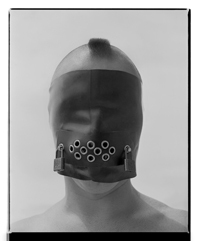 Technologies of the Self: A Seminar with Michel Foucault. London: Tavistock Publications, 1988, p.18.